April 12 is World Aviation and Cosmonautics Day in many countries around the world. This holiday was established to commemorate the first manned flight into space. 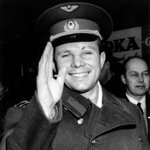 The famous flight of a Soviet cosmonaut Yuri Gagarin was held on April 12, 1961. The spacecraft Vostok 1 started from Baikonur Cosmodrome. The mission lasted 1 hour and 48 minutes. A memorial day, Cosmonautics Day, was established by the decree of the Presidium of the Supreme Soviet a year later. World Aviation and Cosmonautics Day was established by the International Aeronautic Federation a few years later. Many countries around the world organize a so-called Yuri's Night on April 12. This event is devoted to the flight of Yuri Gagarin and to the first manned flight of the American program Space Shuttle. The festival aims to raise public interest in space exploration. The first Yuri's Night was held in 2001 on the 40th anniversary of the first manned flight into space. In 2004, the event was attended by representatives from 34 countries, every year the number of participants increases.